M. Jane Powers, MSW, LICSW | Fenway Health: Health Care Is A Right, Not A Privilege. M. Jane Powers, MSW, LICSW – Fenway Health: Health Care Is A Right, Not A Privilege. Jane Powers, MSW, LICSW, is the Interim Chief of Staff at Fenway Health. She oversees a staff of more than 70 therapists, social workers, addictions specialists, and LGBT violence prevention experts. Jane has a clinical background in child, adolescent, and family therapy; she now works with clients of all age groups. In 2016-17, Jane was part of a 5 person faculty in a year-long national ECHO online learning community, Transforming LGBT Health in Primary Care. Prior to joining Fenway Health in 2013, Jane was clinical director of a therapeutic school program for 20 years. Jane earned a Master of Social Work from Simmons College and her B.A. from Colby College. 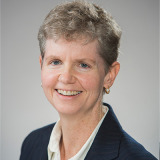 Jane has served on the Board of Trustees at Colby College since 2005 and is an avid cyclist, having participated in the Harbor to the Bay Ride since 2007, raising funds to benefit Fenway and other AIDS/HIV organizations.